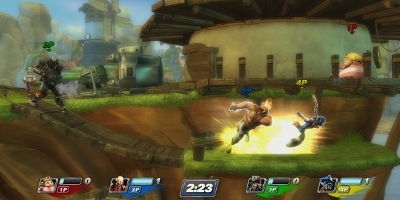 PlayStation All-Stars Battle Royale is the feverishly anticipated crossover fighting game developed by SuperBot Entertainment, and has been created and published exclusively for PlayStation by Sony Computer Entertainment. 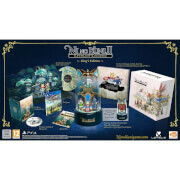 The game brings PlayStation exclusive characters from all walks of its gaming history into one gigantic brawler, so fans of any era can play as their favourite characters once more and go head to head in one chaotic mishmash after another. 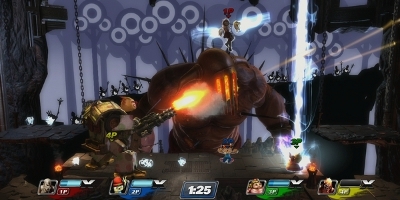 The game places a heavy focus on multiplayer, with players competing both against each other and in co-op, as well as various modes for single player and online play, which features a tournament mode. Up to four players can battle at one time using characters from various PlayStation franchises, including Kratos from God of War, PaRappa the Rapper, Sly Cooper, Fat Princess, Sweet Tooth from Twisted Metal, and many more. The arenas that these fights will take place in draw inspiration from the environments of various PlayStation titles, with areas merging two titles into one; for example, one arena fuses the games Little Big Planet and Buzz!, whereas another combines God of War with Ratchet and Clank. Combat is both exhilarating and fun, as each character has his or her own signature combat style based on the game that they star in, giving them their own move set that reflects their trademark abilities, making each character you play as new and exciting as the last. 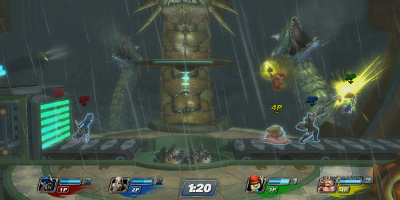 The damage a player causes another player allows them to gain orbs, which add up to fill a super meter on the screen that goes up to three levels. Each level you fill up to unleashes a super attack, with the third level being the most vicious and the only way to truly defeat an opponent, as there are no health bars to deplete, or any way to knock a player off or out of the environment. Gameplay has been developed to incorporate as many different aspects of various PlayStation titles as possible, which adds many interesting and innovative elements into levels. For instance, the Buzz! level has players answering questions mid-fight, which then in turn gives the player a bonus if the question is answered correctly. This style of interactivity will keep players on their toes, and means that the tables could be turned during a fight at any given moment. Bringing together both new and old, iconic and obscure characters together, PlayStation All-Stars Battle Royale offers a wide variety of gameplay and action, allowing you to experience the best of PlayStation gaming in one package.